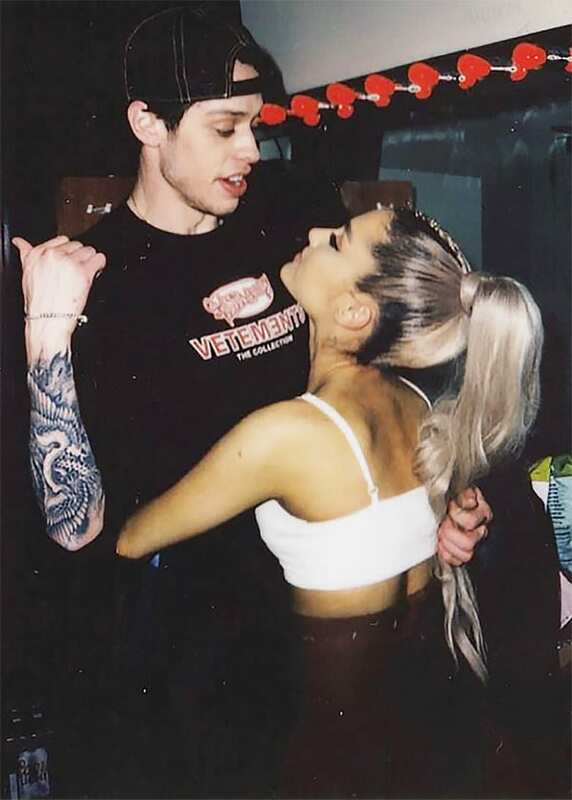 Way back on March 12, 2016 Ariana Grande and Pete Davidson first met while the singer pulled double-duty as both host and music act on SNL’s 41st season. At the time, even the most careful observer would’ve had a hard time detecting anything extra happening between the two on stage. But while the rest of the young Hollywood obsessives were distracted diligently tracking the ups and downs of pop music darlings Selena Gomez and Justin Bieber (a saga for a later day), something was happening between the two behind the scenes. Pete and Ariana knew something the rest of us didn’t. It was love at first sight! As Davidson told GQ, “The day I met her, I was like, ‘Hey, I’ll marry you tomorrow.” Meanwhile, Grande told Jimmy Fallon that she, “had the biggest crush in the world on him the whole time – like forever.” But was is it the real deal or just a rebound? Alas, the court of public opinion was not so ready to fall in love with this pairing as Grande and Davidson were with each other. Each party was accused of overlapping their new relationship with their previous relationships. News of their fledgling relationship actually hit within days after reports of their respective breakups. Davidson had been in a relationship with writer/comedienne and famous offspring Cazzie David, while Grande had been in a relationship with rapper/producer Mac Miller. 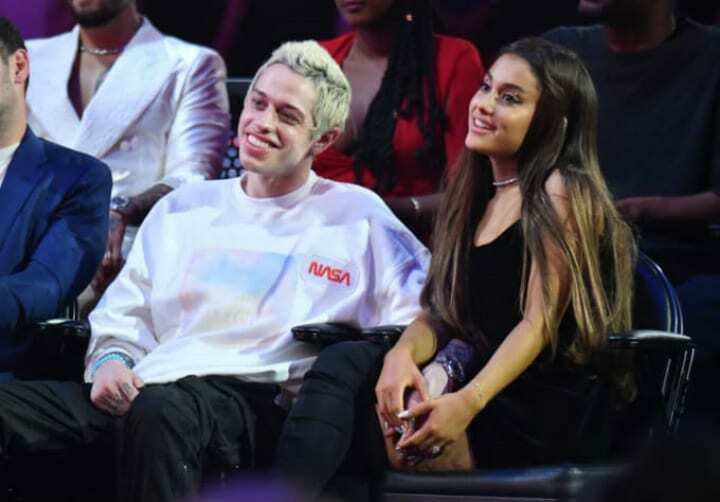 Pete and Ariana each made separate statements to the press clarifying the timelines of their breakups and coupling up thereby exonerating themselves of any relationship crimes. Unfortunately, that wasn’t the only negative response they’d receive. As if the initial backlash to the couple’s brand new relationship wasn’t hurtful enough, Davidson’s mental health was raised as an issue. Davidson has been quite public about his diagnosis of borderline personality disorder – but the public had a lot more to say about it. Davidson was having none of it, and addressed the mean commenters head on. Davidson took to Instagram to respond to the insensitivity directly. “Just because someone has a mental illness does not mean they can’t be happy and in a relationship.” Through it all, the two had each other’s backs. It was Pete and Ariana against the world, but would it always be this way? Whether we like to admit it or not, most of us definitely have relationship deal breakers. For some people, loving Harry Potter is a requirement and anyone who doesn’t understand the love of the fans is someone that’s not coming home to meet mom and dad. But that was no issue for this duo! This was a couple who could nerd out over their mutual love of Harry Potter, what more could they want in a partner?! Well, if you take a closer look at that photo of the pair in their Harry Potter robes, it’s clear that Davidson is sporting Gryffindor garb, while Grande was representing Slytherin. Could these rival houses make magic? Harry Potter wasn’t the only thing this couple had in common. Both Grande and Davidson have quite a few tattoos between them. Davidson was already pretty heavily inked, and Grande had already said it all: “Just as long as I’m the name on your tattooed heart.” And she would be! The first of sixteen (!) combined tattoos that the two would get in honor of their relationship makes its appearance. 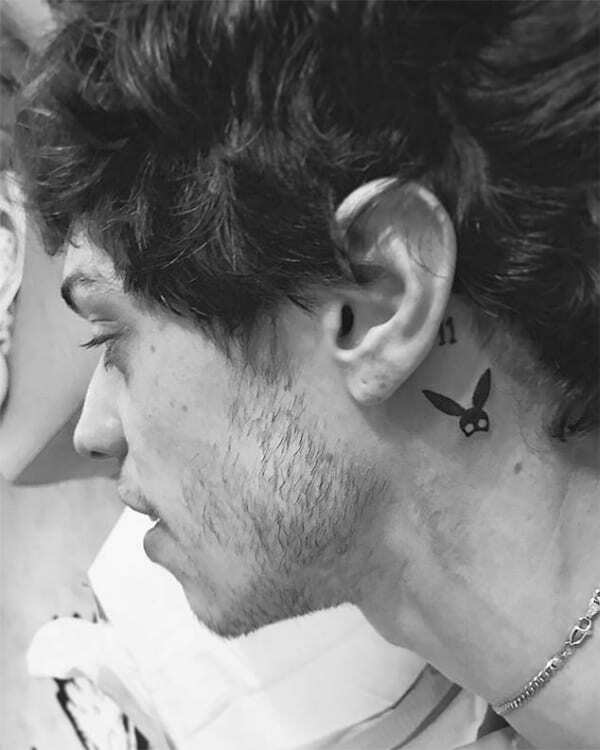 Davidson is pictured with a tattoo of the initials “AG”, and another of Grande’s immediately recognizable bunny ears mask from her Dangerous Woman album cover, on his neck. Would their love last as long as their ink? 7. Did She Say Yes?! On June 11, 2018 there were whispers of an engagement between the two, and it was only a few more days before the whispers turned into public confirmation. They say that when you know, you know – and these two just knew! In the age of elaborate proposals, how did these two make it official? It wouldn’t be too crazy to expect that after such a headline grabbing courtship, that the proposal would’ve been a grand(e) affair (sorry for the pun). But in fact, the high-profile couple had a low-key engagement – who would’ve thought?! One thing that wasn’t low-key, though? The ring of course! Despite a quiet and casual engagement, the ring was dazzling. And dang, she wore it well. According to jeweler Greg Yuna, Davidson had ordered the ring to be made at the end of May – for those keeping score at home, that’s nearly two weeks after they started dating. So, how do you top a $93,000 engagement ring? What could possibly follow in the footsteps of that ring? An apartment of course! Anyone who has slogged it out in the New York City real estate scene knows how stressful it can be to try and find a place – and a crib that’s bigger than a shoebox would be an added bonus. But when you’re Ariana Grande, that’s no problem! Grande bought the couple a 4,000 square-foot apartment in one of Manhattan’s chicest neighborhoods, Chelsea. The couple documented the move-in process on social media, but as some keen social media observers pointed out, there was one thing glaringly missing from their new love nest. Aside from the apartment’s enviable square footage, the building boasted some seriously luxe amenities (oh hello, in-house spa, juice bar and IMAX theater!). You would think a space that big would be an interior decorating playground, except…they never bought any furniture. Diligent Instagram research confirms that there was never much more furnishing their not so little love nest other than a couple of lawn chairs and some beanbags. Furniture shopping in IKEA can bring out the worst in any couple, maybe they went the way of so many before them, and broke up over whether to get the Söderhamn or the Färlöv? Even though they couldn’t commit to a couch, they would have no problem committing to some more noteworthy tattoos. While the majority of their tattoos were in honor of each other, Grande got one tattoo that was a touching tribute to a Mr. Davidson, just not the Mr. Davidson you might be thinking. Grande would honor her fiancé’s father in a very special way. Scott Davidson, Pete’s father and a firefighter, tragically and heroically passed away on September 11, 2001 in the attacks on the Twin Towers. 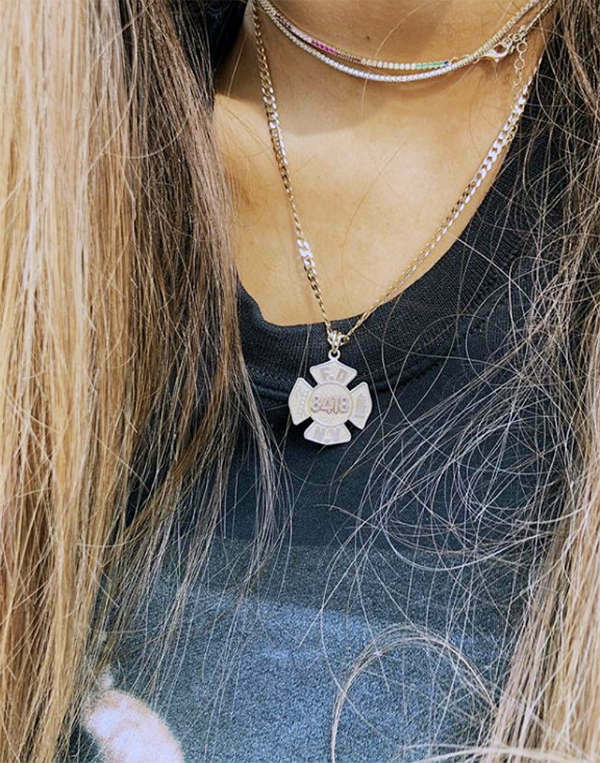 Grande got a tattoo of Davidson’s father’s FDNY badge number on her foot. Additionally, Davidson gave her his father’s FDNY Badge that he had worn throughout his career. And if that wasn’t romantic enough, Grande would find another way to prove to the world her dedication to Davidson. If naming a song after your paramour isn’t the sweetest thing on Grande’s new album, Sweetener, then what is? 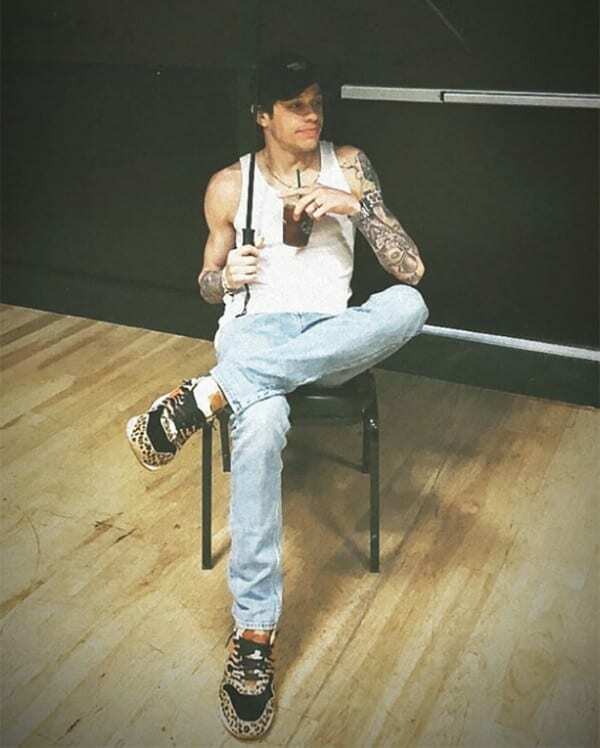 Grande had floated the possibility of two different names for the track, “This Song is About Pete Davidson” or simply “pete davidson,” ultimately titling it the latter. Grande told Jimmy Fallon that very early on in the relationship the song just fell out of her and onto the page. About the 14th track of the album, she’d say, “He’s my fiancé. This is my album. 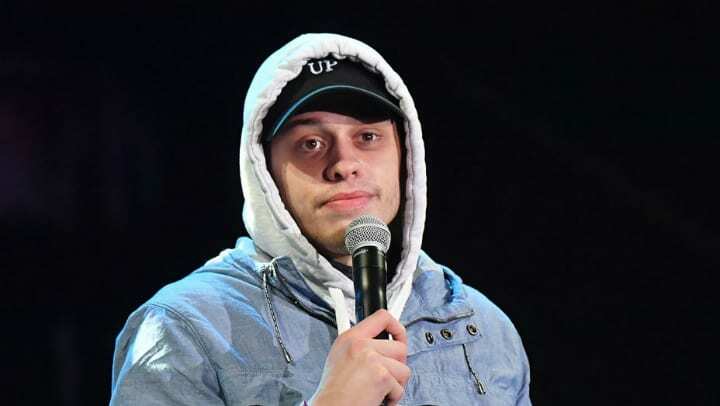 I’m an emotional artist and human being and if my openness in my work isn’t for you, that’s OK.” But it would seem that the album, including “pete davidson” would strike a chord with listeners. At the 2018 MTV Video Music Awards, Grande won “Best Pop Video” for her Sweetener single “no tears left to cry” and made an emotional thank you speech to the crowd. After thanking everyone, Grande looked out and said “Pete Davidson, thanks for existing.” And the crowd swooned in unison (we assume). The VMAs also marked the couples’ red carpet debut, and they certainly made it memorable. The pair playfully ran down the carpet and lovingly posed for photos (and some photobombs). Grande’s metallic silver mini dress reflected their love for all to see. Whether on the red carpet or the sidewalk the couple’s fashion had a way of making headlines and turning heads. Can we take a minute to talk about bucket hats? They’re (supposedly) making a comeback among the streetwear inclined fashion set — but, maybe we can all agree to leave the Kangols to Samuel L. Jackson? Davidson himself would end up commenting on some of the couple’s more – um — interesting fashion choices. Pete and Ariana were captured by photographers in a lot of neon streetwear couture while out and about being young and in love in NYC. 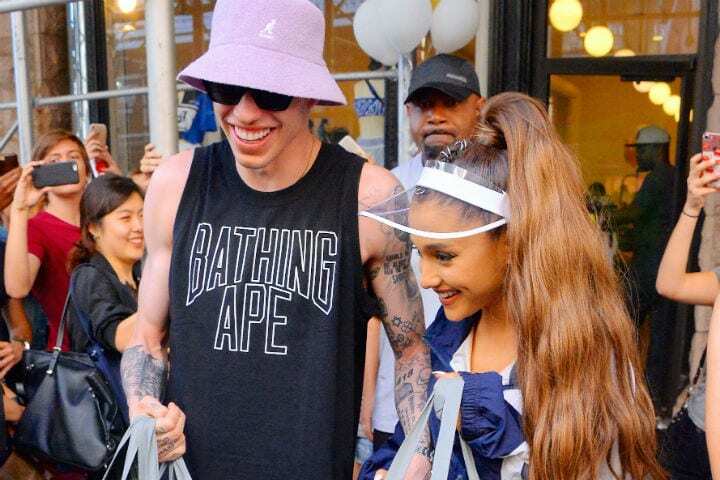 All credit goes to Grande for traipsing around in thigh high stiletto boots, but as Pete himself said on SNL “I wish someone bullied me into not wearing this hat.” Would their love go the way of the bucket hat, a fad that they’d come to regret? Given the current digital climate, anyone with even a little social media savvy will tell you, if there’s no evidence of it on Instagram, did it even happen? 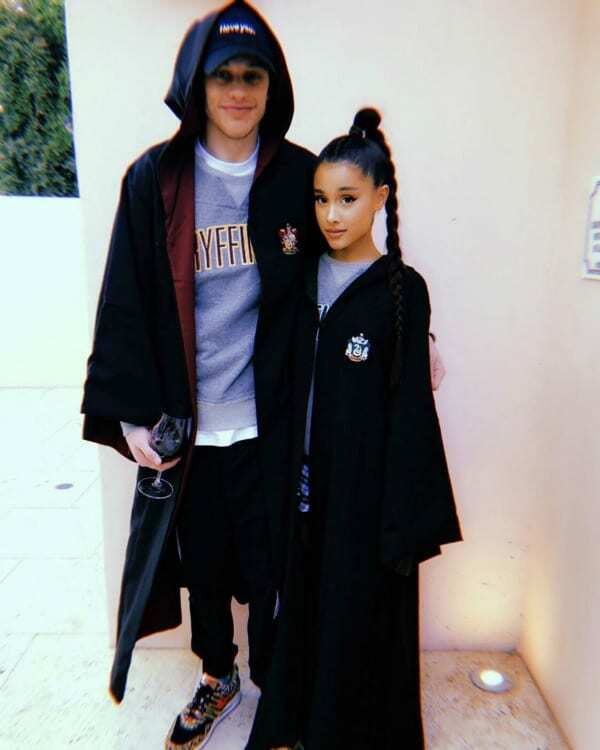 Ariana and Pete could not stop gushing on social media about one another, and sure, it might have been a bit much, but their love was true. Still, it wouldn’t be long before all the new attention got to Pete, and he took himself off social media. Ariana kept posting loving photos and clips to her Instagram story, giving her adoring public small snippets of their too-cute coupledom. 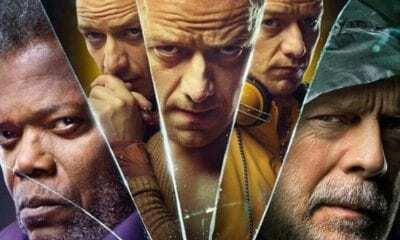 Suddenly though, Pete seemed to make fewer and fewer appearances. It wouldn’t be long before the rumor mill started churning, was something wrong with this fan favorite couple? Ariana Grande had had a turbulent year prior to her seemingly perfect relationship with Davidson. After a terrorist attack at her concert in Manchester, UK, she reportedly suffered from PTSD. At the time, her then-boyfriend Mac Miler helped her through. Now, Davidson would have to be there for her during another trying time. In the wake of Mac Miller’s untimely passing, on September 7, 2018, it should come as no surprise that she was hit with immeasurable grief. Grande posted a sad and touching tribute to the late rapper on her Instagram, but a year as trying as this can change a person. Did the loss of her ex-boyfriend of two years change her perspective on life and love? Just as speculation was mounting about the state of their relationship, the pair introduced the newest addition to their little family, a piglet named Piggy Smallz, and all concerns of a split were put to rest. Seriously, is there anything cuter than a teacup pig? 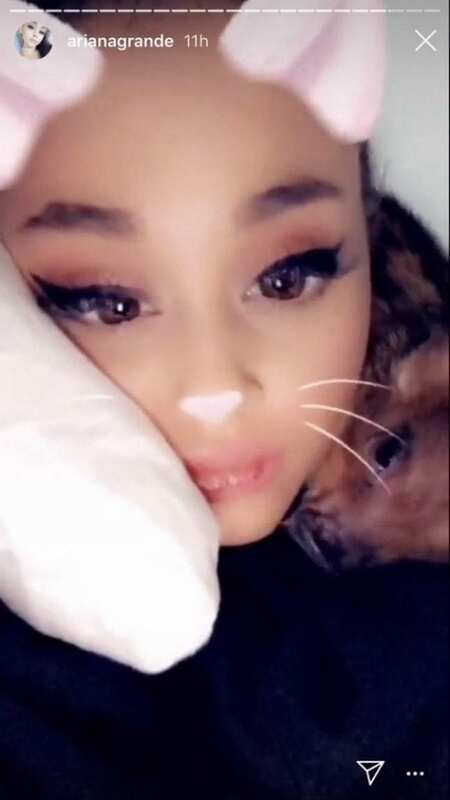 Ariana formally adopted Piggy Smallz, but Pete would still show his love for her (the piglet, that is) in an all too familiar way. How you ask? By getting a tattoo of the piglet’s precious face on his ribcage of course! Ariana took to Twitter to let everyone know “She’s an emotional support pig.” Would she be enough to silence the rumors and keep this couple together? As Ariana continues to grieve for Mac Miller, the couple skips out on attending the 2018 Emmy awards. And like clockwork, the rumor mill is back at it, reporting on possible trouble in paradise and raising breakup alarms left and right. Adding fuel to the fire, the couple’s appearances together were becoming fewer and farther between. Davidson made a blink-and-you-missed-it appearance on Instagram to promote the series premiere of SNL and commenting on a photo posted by his fiancé. 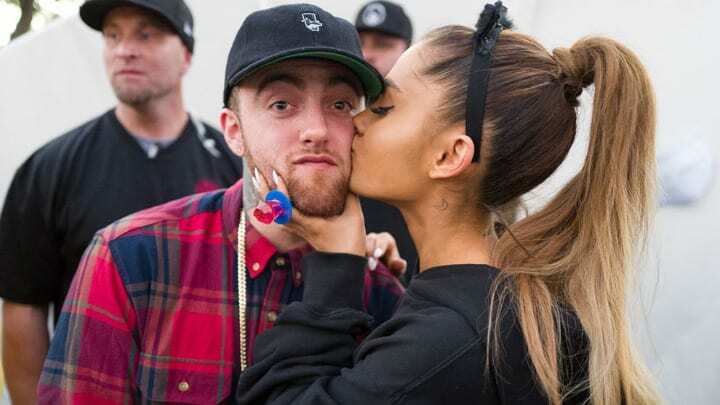 Meanwhile, Grande snuggles up with Mac Miller’s dog, who has been reportedly adopted by the singer after her ex’s passing. Were they living separate lives? 19. And Live From New York! Just as SNL is about to come back for a 44th season everyone is abuzz wondering how the show will address the media firestorm that was Davidson’s summer of love. 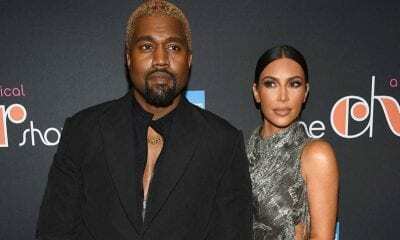 Despite their more recent low profile, Ariana Grande is all set to appear, but there’s drama in the air (partially because of Kanye West’s non-musical guest appearance). Before the episode airs, Grande cancels her appearance due to “emotional” reasons. Regardless, Ariana is mentioned left and right. 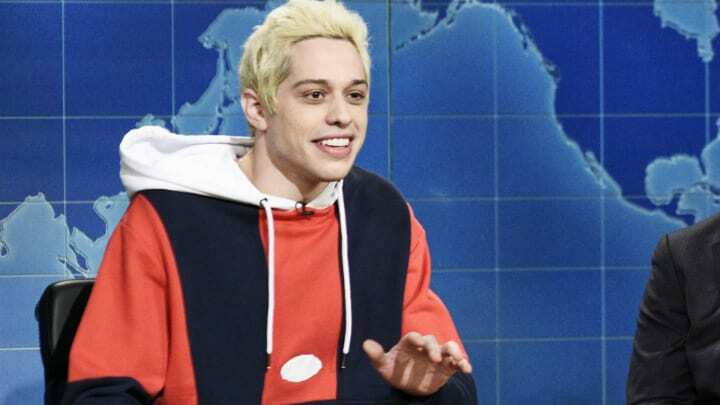 Just as rumors of a split are put to rest (again), Davidson makes a tasteless joke during the “Weekend Update” segment about Grande and their relationship, and everyone watching wondered, did she approve the joke? Or was someone in for a lovers’ quarrel when he got home? After Davidson’s joke fell flat and with the news surrounding their relationship running on a 24-hour cycle, it’s hard to remember where the couple stands in the eyes of the public. Are there suspicions they’re apart? Is everything better than ever? Never doubt the gossip machine to push their wacky rumors to the “borderline”. 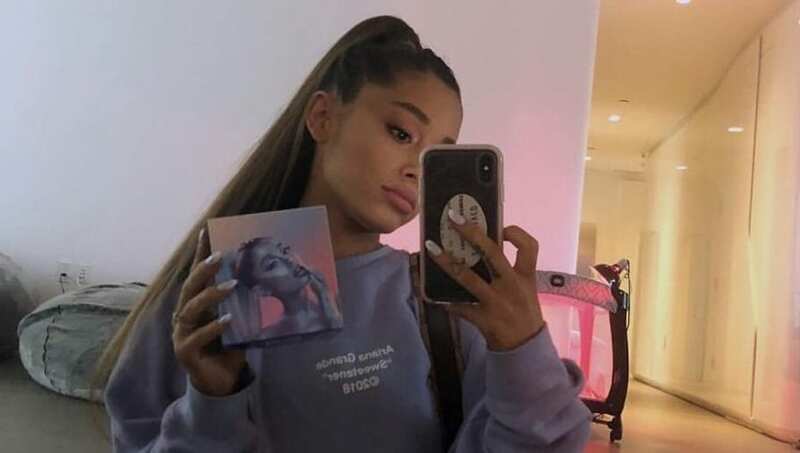 Grande posted a photo with a baby’s pack-and-play in the background, prompting fans everywhere to wonder if the couple defied the laws of nature and time and had a secret love child. But alas – the crib was for Piggy Smallz. What crazy conspiracy theories would the public come up with next? 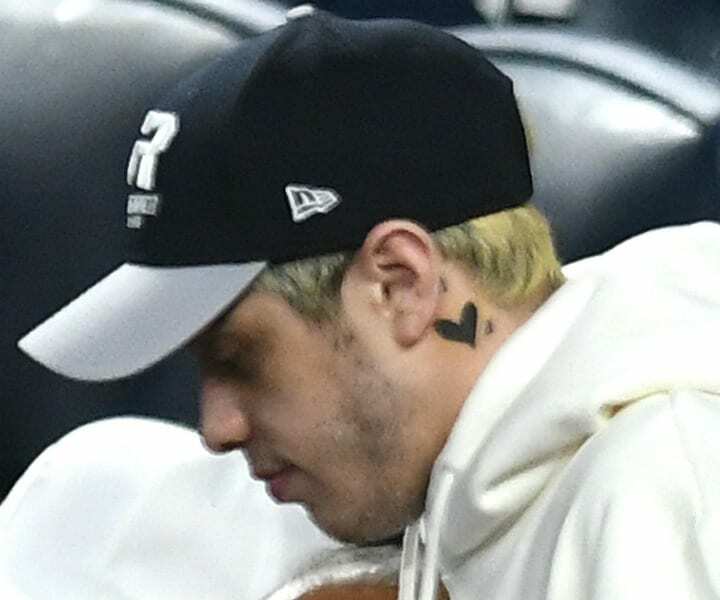 On October 10th, eagle-eyed Pariana fans notice that Pete has covered up the tattoo he got on his neck of Grande’s notorious bunny ears mask, instead sporting a heart with a small “a” next to it. Perhaps the “a” is for Ariana? Or perhaps Davidson had taken a page from Johnny Depp’s book, lest we forget his “Winona Forever” tattoo being reworked to say “Wino Forever” after his split from Winona Ryder. Either way, the rumor mill went into overdrive, with speculation about the couple’s romantic status reaching a fever pitch. The cover-up begs the question, if everything is fine, why cover the tattoo? In the words of philosopher Lao Tzu, “The flame that burns twice as bright burns half as long.” And so, just as quickly as they came together, things seemed to fall apart. 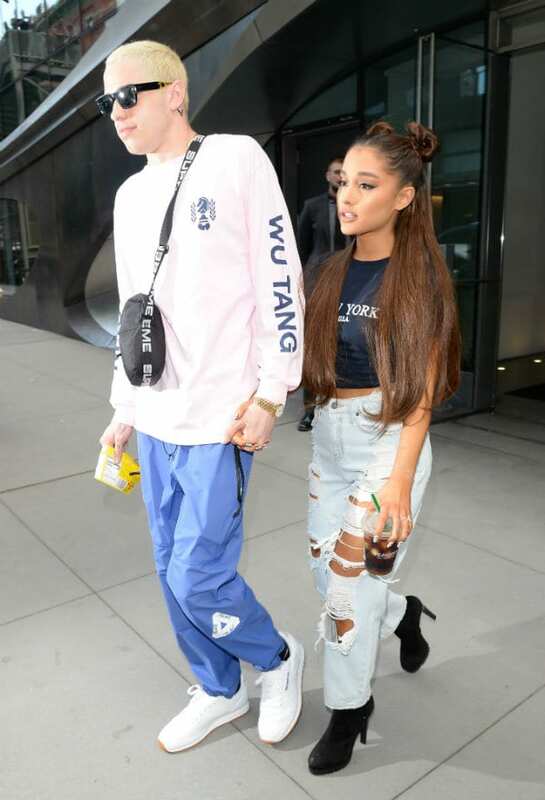 On October 14th, 2018, nearly five months to the day they first started dating, Ariana Grande and Pete Davidson have reportedly split. After the rollercoaster ride that was their relationship, it wouldn’t be completely out of line to wonder, will this breakup stick? Or will they be reunited as quickly as they came apart? And for all those who were rooting for this cute couple all along — there’s hope! They “Still care about each other” but feel it’s “best to be physically apart.” How far apart you ask? We’ll tell you. Well, obviously the pair won’t be living together anymore. No more Harry Potter IMAX screenings for Davidson. Ariana Grande is keeping the 4,000 square foot apartment in Chelsea. But where will Davidson go now that he’s been given the boot? Although theoretically it is big enough that Grande could live on one side of the apartment and Davidson could live on the other, Davidson has moved out. 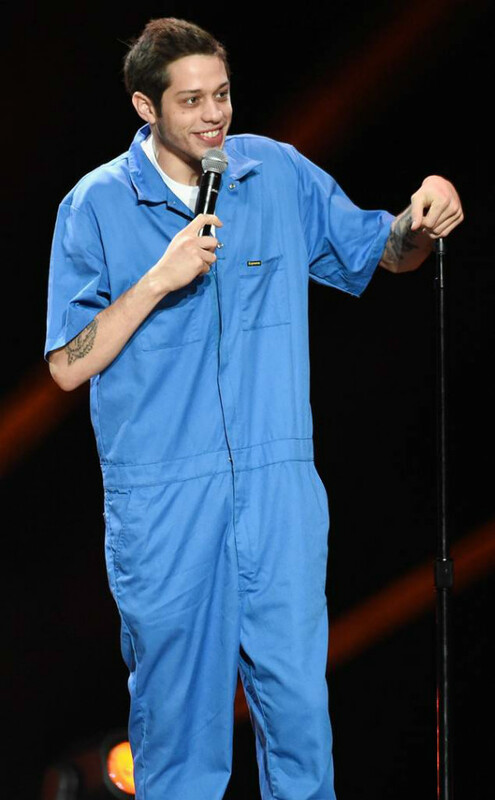 In response to the breakup, a Pete Davidson fan started a GoFundMe to raise $2,500 for the comedian who “will need somewhere to sleep tonight.” Soon after, Pete would have something of his own to say about his new living situation. We can all agree, in the wake of the breakup, fans were most worried about Piggy Smallz. 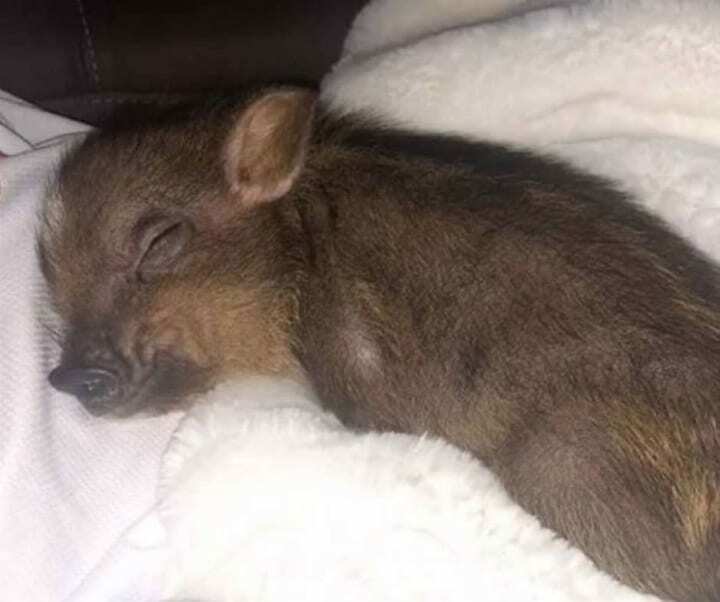 Even though Grande technically purchased the teacup “emotional support pig” on her own, Davidson did get the piglet’s likeness tattooed to his ribcage. 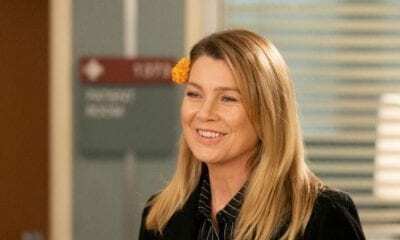 So now that her parents have parted, what happens to Piggy? Have no fear, custody of Ms. Smallz was handled without any drama, and the teacup pig will be living with her mama. Good thing Grande has the emotional support of her pet pig, who has been hogging all her attention post-split. 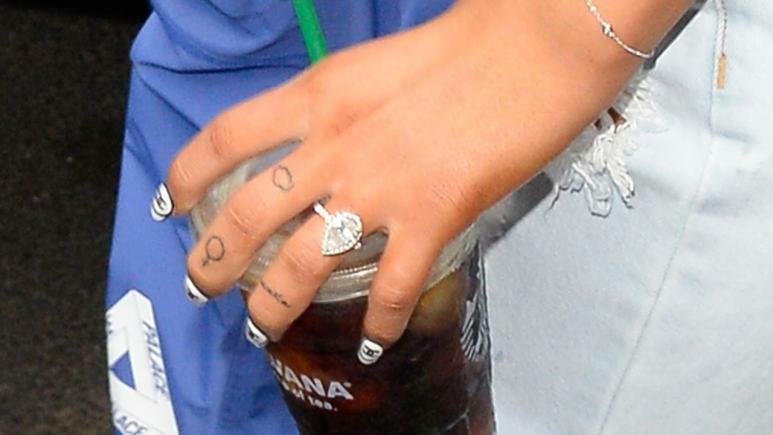 Knowing that Piggy Smallz will be ok, now we’re all wondering, what happens to that ice skating rink of an engagement ring? According to New York State law, in the event of a broken engagement, the ring is to be returned to the purchaser, as it is considered a contract and not a gift. Regardless, Ariana was ready to return the ring quickly with no muss or fuss. In hindsight, while much of their relationship felt a bit rushed to some, like two young’uns deep in infatuation more than deep in love, that ring made a different sort of statement – they were invested in each other romantically and financially. After determining what’s happened to the apartment, pig and ring, now all that’s left to wonder is, how are they coping emotionally? Post-breakup, the only thing anyone wants is to nurse their hurt feelings privately, in pajamas, on their couch, with snacks and maybe a bottle (or two) of wine. But when your entire livelihood is to entertain the public, how do you cope? Following the breakup, Ariana canceled her performance at a benefit for F*ck Cancer. Later that month she did go through with a previously scheduled singing appearance at NBC’s A Very Wicked Halloween. She went to Instagram to tell her fans “Can’t believe I almost let my anxiety ruin this for me today!” And how is Pete doing in the aftermath of it all? 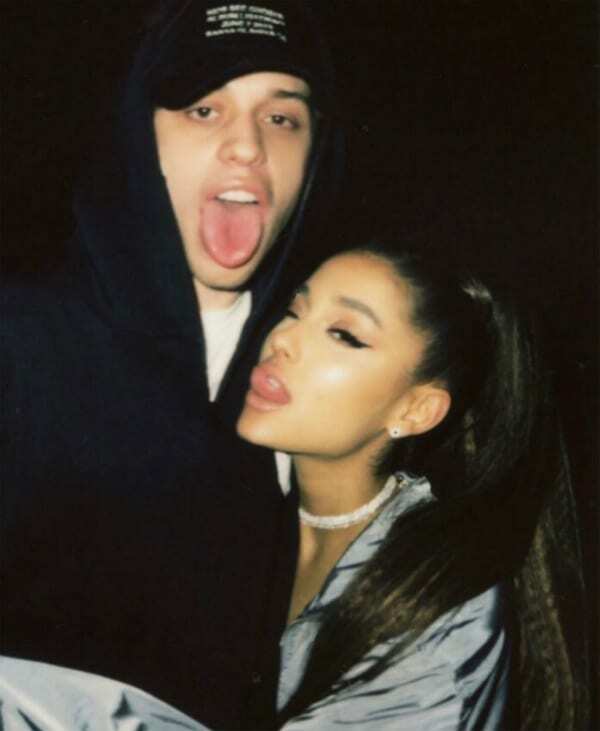 Pete Davidson was pretty vocal during the couple’s five-month romance about Grande being a bit out of his league, so, how is he handling it all? Similarly to Grande, apparently. Breakups are hard y’all! But while Grande has only made vague references to the split, Davidson had a bit more to say on their dissolution. Despite canceling a stand-up comedy appearance at Temple University, Davidson did come through at the “Judd and Pete for America” evening of stand-up comedy for a cause. He even addressed the split directly, saying “anyone looking for a roommate?” Now that Davidson has come right out with it, will Ariana’s silence on their conscious-uncoupling continue? Reps for both Davidson and Grande have let the relentlessly hungry media know that their respective clients are “doing fine.” And while that may be true of Davidson, it sure seems true of Grande. 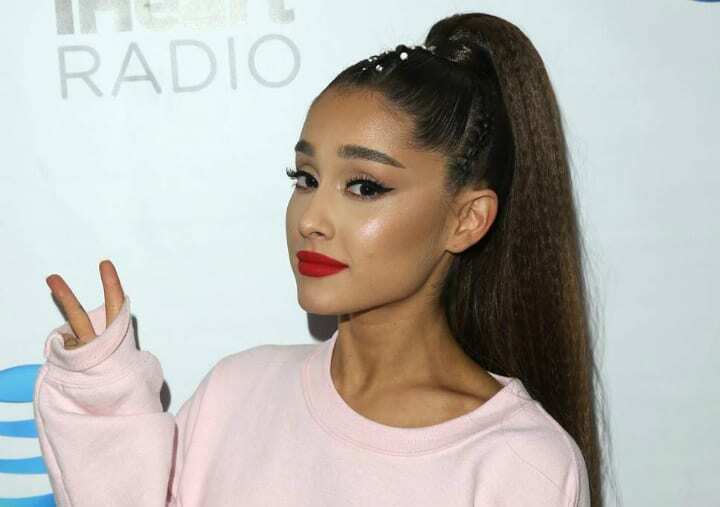 Ariana was seen out and about doing some retail therapy, holding a slew of Chanel shoppers and all we have to say is, treat yo’self! Maybe she was shopping for outfits to wear on her new tour? Not long after the breakup, Grande announced the dates for her next tour, and we can’t think of a better distraction from heartbreak than performing in front of millions of adoring fans. Additionally, she is reportedly working on new music. Will “pete Davidson” be a part of her set, or was that song a “Bad Decision”? Just because Grande and Davidson couldn’t make it, that doesn’t mean love is dead, despite everyone on Twitter declaring it as such. There’s no denying summer 2018 was definitely the summer of the speedy engagement, so if you’re wondering how some of your other favorite young couples are faring, we’re here to let you know. Justin Bieber and Hailey Baldwin followed a similar timeline to Ariana and Pete, getting engaged after roughly one month, but then they actually went ahead and followed through getting married three months later! Nick Jonas and Priyanka Chopra are also happily engaged after dating for just under three months. It’s too bad Grande and Davidson couldn’t be “successful”, so now, what’s next for the two? Now that the dust has officially settled, all we can do at this time is hope that “the light is coming” and they “get well soon.” There’s “no more tears left to cry, ” and we might just have to admit these two are “better off” apart. But before we “goodnight n go” we have to wonder “One Last Time” if maybe these two will “Break Free” from whatever led to their split, and find their way back to each other? (Sorry, we really shoehorned a bunch of titles into this last one). And for those of you who played along, how many song references did you catch? Answer: 13.